Ruth Campbell Rohrer, née Williams was born on October 31, 1918, in Atlanta, Georgia but her family moved to Renton, WA when she was just 3. After graduating from Renton HS, she attended the University of Washington, the only one of 4 siblings to do so. There she was among a very small cohort of women who chose to study architecture. She recalled that there was a general feeling among the male professors that women were best suited to design domestic interiors or gardens, both being intrinsic to their “nature”, and felt discouraged from entering the field of building design. Her drafting skills served her well during WWII, however, when the “boys” were engaged in projects related to war design and she was recruited by the city of Renton to draw up a large scale map, illustrating its most significant buildings. In 1938 she married John Rohrer, an architectural teaching assistant with whom she was happily married for 65 years, until his death in 2004. They had two children, Judith Campbell Rohrer of Atlanta, GA, and John Scott Rohrer of Seattle. In 1948 they bought land in the Denny-Blaine neighborhood and built together one of the first flat-roofed houses approved by the FHA in the Pacific Northwest. Completed in 1949, it was one of the earliest examples of what came to be known as Northwest Regionalist Modern, and in 2011 it was designated a historical landmark. With a glazed facade looking onto a garden terrace–something of an outdoor living room-- the house nicely exhibited Ruth’s talents as a landscape gardener with a particular penchant for white flowers, inspired by Vita Sackville-West’s garden at Sissinghurst. 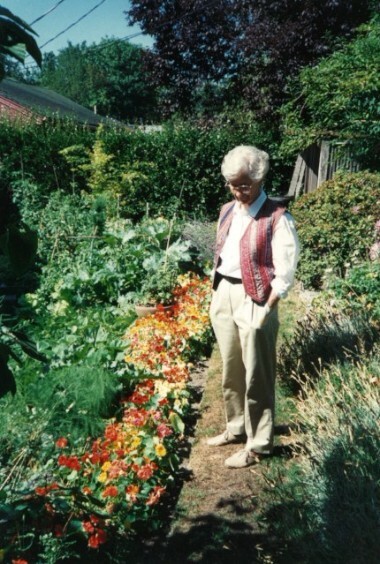 She delighted in spending hours clipping, spading, weeding, and arranging beds of colorful, continuous bloom. Once her children were off to college, she dedicated her time to gourmet cooking, and delighted in staging memorable dinner parties for appreciative friends. 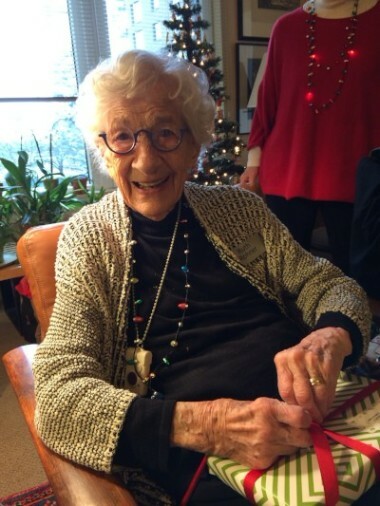 Always creatively artistic, she was an enthusiastic volunteer at the Northwest Craft Center and Art Gallery at the Seattle Center where she enjoyed the friendship of artists and art-lovers alike. Early on, she and John began to summer on Vashon Island, eventually converting a simple beach shack into a comfortable weekend cottage overlooking Colvos Passage. They both enjoyed traveling as well, and Ruth was especially fond of the trips that they took to Venice and to Egypt. A sojourn in a stone house in Southern France and a stint in Rome where she served as something of a “den-mother” and accountant to a UW architectural study abroad program that John taught in were also among her favorite memories. Throughout her life she was an avid reader of novels, The New Yorker, political history, and The New York Times, every day (except Sunday!) from cover to cover. She spent her last years in Assisted Living at Mirabella where she enjoyed the friendships she found there and where she cultivated a small collection of orchids. Especially important to her in her later years was the loving devotion, care, help, and companionship of her daughter-in-law, Karen Rohrer, who brightened her life and whom she loved beyond measure. At Mirabella, everyone knew Ruth by her laughter which was hearty and sincere, and also by her fanatic devotion to the Seahawks and the Mariners. She was an elegant woman right up to the end, never missing a Thursday hair appointment with her beloved Jennifer. 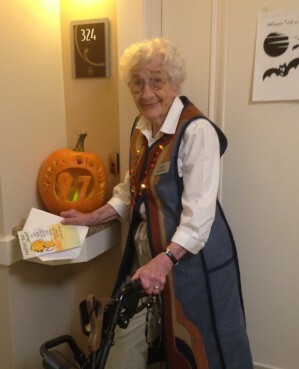 On her 90th birthday, on Halloween, as a sign of the adoration she inspired in her neighbors, she was greeted with an array of 90 pumpkins, most of them carved and lit that streamed down the stairway leading from her front door to the car port below, a truly spectacular tribute. Respecting her wishes, there will be no services. Condolences or memories can be posted in the online below. Gifts in her name can be made to the Seattle Public Library Foundation https://foundation.spl.org/ways-to-give/donate/.